What were some of the biggest online trends in 2015? 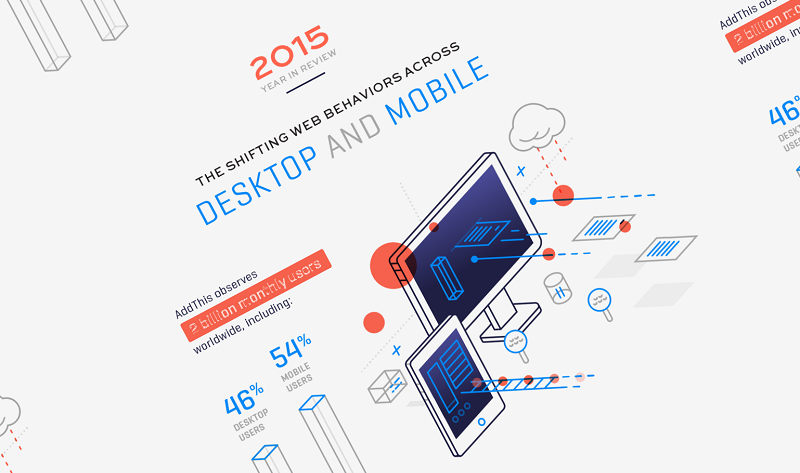 AddThis analyzed 1 trillion pageviews from more than 2 billion Internet users to uncover the global web trends of 2015, and put together its findings in a nifty infographic (featured below). AddThis sees a total of 4.01 million global social shares everyday across desktop (62 percent) and mobile devices (38 percent). AddThis observes 2 billion monthly users worldwide, of which 54 percent are mobile users and 46 percent are desktop users. AddThis observes 768 million pageviews and 1.03 million social shares daily in the U.S.
Take a peek at this visual for more insights.